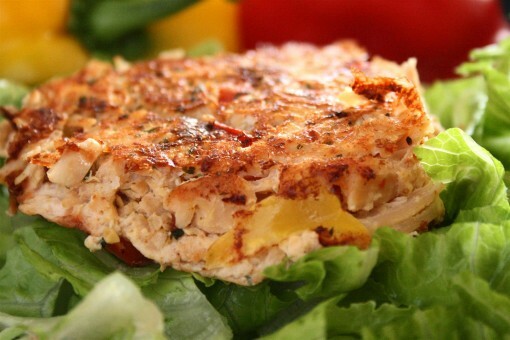 Suriving Parties and Thai Chicken Burgers was posted on December 17th, 2012 and is filed under Dairy Free, Gluten Free, Kid Friendly, Low Carb, Main Dishes, Protein, Recipes. This entry has 9 comments. You can follow any responses through the RSS 2.0 Comment Feed. Staying healthy during the holidays is a bit of a challenge. There’s so much delicious temptation at your beck and call all day long. Thankfully, there are some things we can do so we don’t fall completely apart at the buffet table. For example, tonight I’m off to a Christmas party with friends, but since I knew there would be treats and indulgence (I’m not skipping out on all the fun!) I made this morning count. I got up and went for a two mile sprint run as well as doing a 20 minute ab workout. After that I fueled up with my favourite spirulina smoothie. Also, before I leave for the party, I’ll also have a small snack. 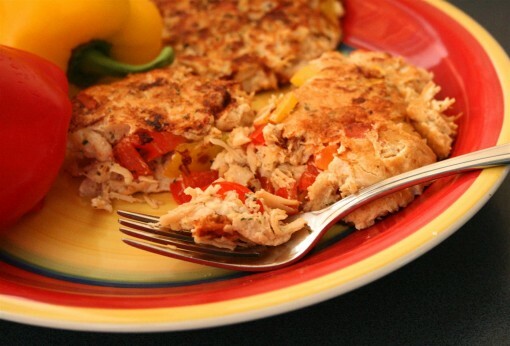 The secret is to fuel up on protein before you go out to that special Holiday dinner or party. It keeps you just full enough not to be ravenous and eat everything, and also able to make smart, sane choices for the stuff you do want to try. I made this chicken burger a few days ago and it is the simplest and quickest thing in the world to make. Perfect before you go out! I crumble this on salads, eat it as a hamburger, or as is…it’s just a fabulous staple of my diet. Y’all know how I feel about protein. Makes 3 burgers. I’m also super obsessed about this spice. It goes on everything. Mix everything together in a bowl. Divide into 3 patties. Cook until middle is done. Serve warm. Note: The egg whites will run off of the burger patty as it cooks. To prevent this, I just keep pushing the egg white against the patty with a silicon spatula. *As far as the patty sticking together, ground, raw chicken would work even better. I used canned chicken because it was more convenient than thawing out ground chicken from the freezer. Now that I’ve shared what’s cooking in my kitchen I wanted to mention about a fabulous new online community for foodies! Since I’m an ambassador for SheBlogs, they give me the inside scoop of what’s new and exciting for food lovers! When you become a member with Kraft First Taste you can be the first to try their newest products and recipes! You can also get and share food ideas, take culinary challenges, and enjoy exclusive savings and offers…personally; I think this is perfect for the Christmas season! I like spicing things up with new notions and recipes. You can also sign up for their email and get quick and easy meal recipes, fun food ideas, and special deals and offers from Kraft Recipes. Hope your Christmas holidays are very merry! What’s your current spice obsession? How do handle Holiday parties? I love the chicken burger idea! I’ve never used canned chicken but it looks like I should keep some in my pantry when looking for a quick healthy meal. Mmmm, those sound great! I’ll have to add them to my rotation. I just made jerk turkey burgers last night. Another winner! I think I’m going to give this spice mixture a try in my vegan chickpea burgers. Thanks for the inspiration! Erin- I believe we got it just at a regular grocery store…it was either Safeway or Superstore. Hmmmmmm. I don’t have any Thai spice, but I bet Garam Masala would be a great stand in! 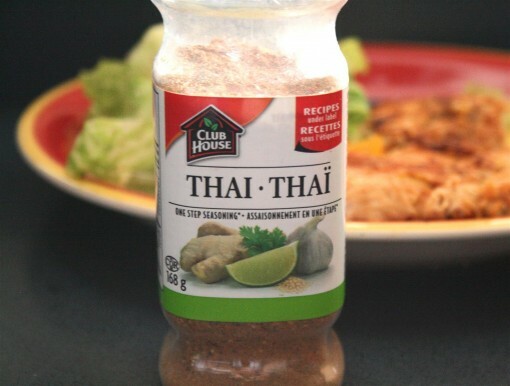 where can i buy or order that thai thai spice?